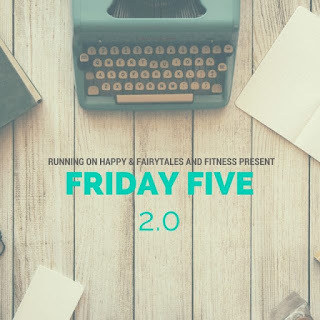 Hit the Ground Running: Friday 5! I suspect you run faster in the dark because zombies. I love getting my run done early, but as it gets colder here I typically wait until after work...it feels good to have some sunshine in my life, but it does consume the whole evening. If I were dealing with literally freezing temperatures, I'd probably run in the sunshine too! Kudos for you waking up at 4:30 to get your run in. I could never(unless it is a Disney race..haha). I much prefer running later in the day. It's funny what we'll do for races! And see as I read through this list I thought for sure you liked it so much that you would switch to a morning runner! You know me, I love running in the morning. At this point, it is such a staple part of my routine that I can't imagine changing it. I love the "me" time first thing. I love the energy I have for the rest of the day. I love how it regulates how I eat throughout the day. I am too tired after work to even feel like running. And when I do run after work my legs feel soooooooo heavy. I don't have to get up at 4:30 though. If I run 6 miles, I get up at 5:45. If I run 8 miles, 5:30. I get up at 5:55 on a normal day. I think it helps that 1) you run faster than I do, and 2) your school starts later! So I have to say I need my coffee first and I am more of a middle of the day runner. Love your passion and kudos to you for getting up so early to get it done!! Those are all excellent points for running in the morning! It feels so great to be done with the run and only have to worry about resting at night! I need to make a bigger effort for sure! That's probably my favorite payoff. Sometimes when the alarm goes off, though, it's hard to remember why it's worth it! Every time I wait to run in the evening I feel less motivated and get bogged down with responsibilities. I prefer running in the morning, but it's a struggle sometimes. I'm lucky in that my after work responsibilities are fairly slim these days. I don't know how working parents do it! I love morning runs, even in the dark. I have no motivation after work to get it done, so if I don't do it before work, it never gets done. I definitely know that feeling. After work, if I didn't have a buddy to meet, I'd skip runs way more often! I am definitely a morning runner. When I put it off to the evening it never gets done and I find my form suffers and I have no energy. However 4:30 is way too early. 7 a.m. would be considered "early" here in France. I wish work started late enough for me to run at 7am; I have to be at work at 7:30. Lucky me, I get to squeeze it in where I can since I don't work. Right now, though, as it's getting colder, I tend to run more in the afternoons. We're lucky if it gets UP to 60 by then, and they said those horrible words on the tv today: snowstorm! And there's always my trusty treadmill, just in case. I think about you morning runners when I'm snug & warm in the mornings -- I may be up at 4 am (damn time change), but I'm not out then! 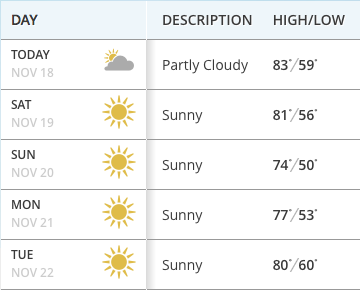 I feel like even if I didn't work, because of weather here, I'd either have to run super early or in the evening. There's no mid-day runs for me! Love morning runs! It's the only time I can run usually and I like how it frees the rest of the day up. It must feel really good once it starts feeling like a habit and a choice. That's why a morning run once in awhile doesn't bother me and makes me feel pretty good! I definitely don't like it alone! I had no idea that we were faster in the dark. I always feel like I'm slower because I'm concerned I'm going to fall or run into something! I have to get my runs done in the morning during the week because otherwise they don't get done. Love that pink Garmin! Luckily my dark routes are lit by street lamps; I've definitely run in pitch black before and that is terrifying! 4:30am .... nope :). I remember getting up that early a couple of years ago to run but I just can't do it anymore. That's why I've cut back on racing this year too. I just can't seem to drag myself out of bed to run these days. I think part of it has to due with stressors outside of running that make it hard for me to get a good night's sleep so once I finally fall asleep I just want to stay that way for as long as possible! I'm impressed by your ability to feel energized throughout the day when running that early. I would just be thinking about a nap all day long! I am not naturally a morning person so I don't know how this used to be the norm for me. I really prefer my extra 1.5 hours of sleep when I run in the evening!